Fly private jet charter to Maine, the northeasternmost state in the country, known for its rocky coastline, maritime history and natural areas such as the granite and spruce islands of Acadia National Park. Whether traveling for a luxury vacation, business, or special event, our air charter team can arrange a luxury jet to/from any travel destination in Maine and neighboring states. Fly private with our Maine private jet charter service and arrive in style for your next trip! 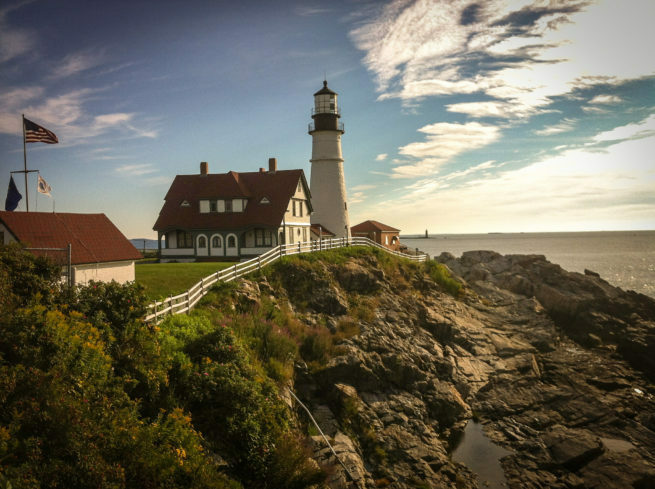 Fly privately into one of the following destinations within Maine. This list of destinations is based on Air Charter Advisors clientele requests, local attractions, and online reviews. Many of our clientele choose Augusta as their top travel destinations when planning a trip. Baxter State Park is home to Mt. Katahdin and the endpoint of the Appalachian Trail, where you’ll find plenty of Moose roaming around. Lighthouses dot the coast, most notably the candy-striped beacon at West Quoddy Head, as do lobster shacks and sandy beaches like Ogunquit and Old Orchard. Request a Quote or give us a call at 1-888-987-5387 to speak with one of our brokers for your next luxury vacation, business trip, or special event, and fly private jet charter Maine .